our only living residency, these three acts intertwine old timey cool, brilliant warmth, & genuine camaraderie. hard to believe they’re all so young but it sure helps the future to look brighter! A wholesome folk-pop collective whose music concerns storytelling and connectivity. 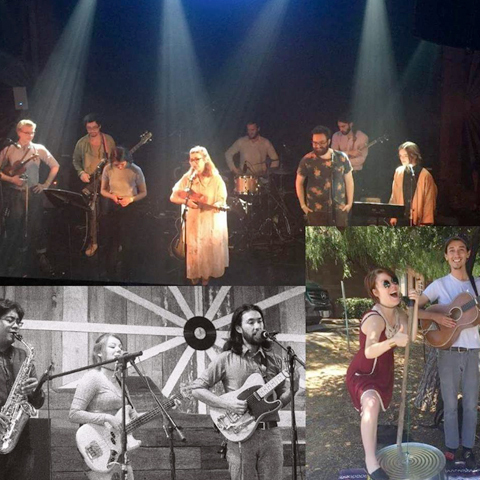 Each of the rotating members bring a diverse view of music-making to the LA-based band’s sound. Old and new together, Bonnie Boy mixes roots and classic American musical influences such as folk, jazz, doo-wop, rock & roll, and filters them through a modern lens. Bonnie Boy are humorous, morose, lively, and often in-between.